Our Sacred Breath is about finding calm in the chaos of FASD. It is the journey of my adopted daughter and myself through the challenges and triumphs of raising a child with fetal alcohol spectrum disorder. Mixed in are facts and links to resources. Respecting privacy is important. That is why in blog posts, I am the mother, my daughter is the maiden, and my mom (who lives with us) is the crone. I adopted the maiden in 2006 when she was eight years old and if I thought I’d been on the ride of my life before, I was mistaken. Children from neglectful and abusive families have a lot of healing to do. As my daughter and I became a family we have each gone through our own journeys to forgive the past, not worry about the future so much, and learn to be present in the here and now. I share our journey because no matter how different we all are, we are also the same. And sometimes all we need to make it through the day is to know someone out there knows what we are going through. So take a deep breath and stay as long as you need. 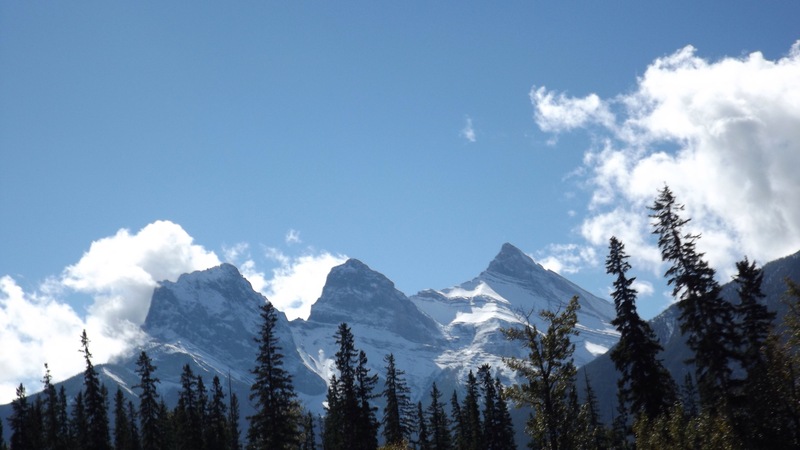 The picture above is a trio of mountain peaks called The Three Sisters, near Canmore, Alberta (Canada). I call it, the mother, the maiden and the crone. Your tag line and blog name…intriguing and awesome…..best to the maIden, mother and crone!